What Are the Different Teaching Methods for English? Full immersion in a language is often the best teaching strategy. 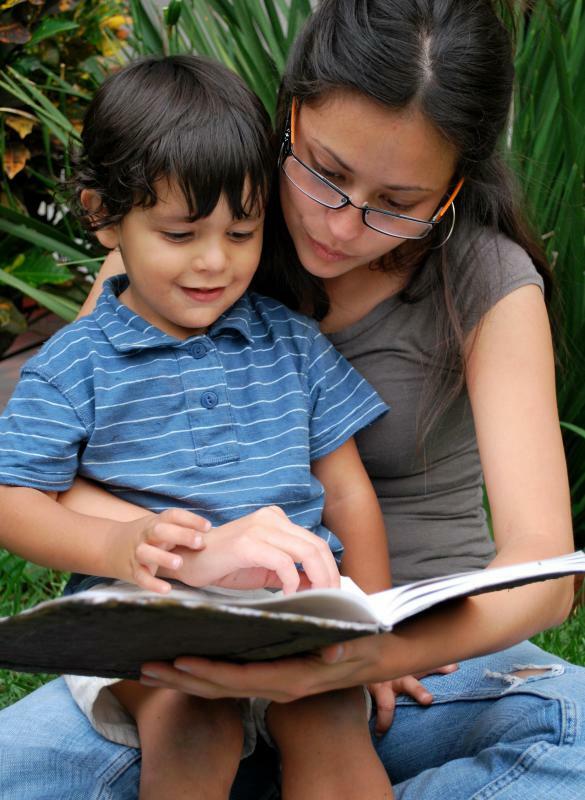 Frequently reading to a child in English can help them to learn vocabulary and grammar. Vocabulary cards can be used for learning English. People who are learning English as a second language (ESL) often enroll in immersion courses. Natural and phonetic methods for teaching English focus on oral communication. Demand is high for native English teachers in several countries in Asia. Teaching methods for English can vary greatly depending on the skill level and age of the pupil, as well as where the language is being taught. To some students whose native language is English, the teaching of the language is primarily for children and young adults and focuses on grammar and word usage, as well as types of punctuation and spelling. Written words are emphasized, and improvement of the use of the English language typically continues throughout their schooling. Teaching methods for English for older students is more complicated, since some of them have a different language as their native tongue. This is known as teaching English as a second language, often abbreviated as ESL, or as a foreign language. When teaching English, the instructor can choose to emphasize either the written word or verbal expression, but mostly it is a combination of both. The grammar and translation methods of teaching English focus more on the written word. Memorization of words and their grammatical usage play a key role. Students are asked to write English words and passages repeatedly to perfect the skill. Natural and phonetic methods focus more on oral communication. The theory is that a person can absorb the language more easily through verbalization. Many classrooms will use nothing but English while the students struggle to follow commands and communicate using only the language being taught. Direct and audio-lingual teaching methods for English are also similar types of teaching, in that listening skills and verbal communication are emphasized throughout the learning experience. Communicative Language Teaching (CLT) refers to the use of common, everyday English as the desired method of learning and speaking and emphasizes interaction with the language as one of the teaching methods for English. For example, the sentence “Hey, you go to the store” is grammatically correct, but is not the typical way that people speak to each other in English. Therefore, CLT focuses more on methods of speaking that are both grammatically correct and reflect common, everyday usage of words and phrases. Total immersion in a language is a common approach to teaching methods for English. With this method, the student speaks and hears nothing but English, from the classroom to the home. Many foreign transfer students learn English in this manner by living in an English-only setting and thus are completely immersed in the language. It is important to remember that non-verbal communication can be just as effective as more common techniques like memorization or repetition. For example, the verb “to stand” is easily demonstrated non-verbally by raising up from one’s seat. Another example could be to fan one’s face to indicate the adjective “hot.” These non-verbal communication methods can illustrate words in the English language and help students to absorb and communicate more effectively. What Are the Different Types of TEFL Exams? What Are the Best Tips for Teaching Children English? What Are the Best Tips for Teaching High School English? What Are the Best Tips for Teaching English Literacy? What Are the Different Types of ESL Teaching Methods? 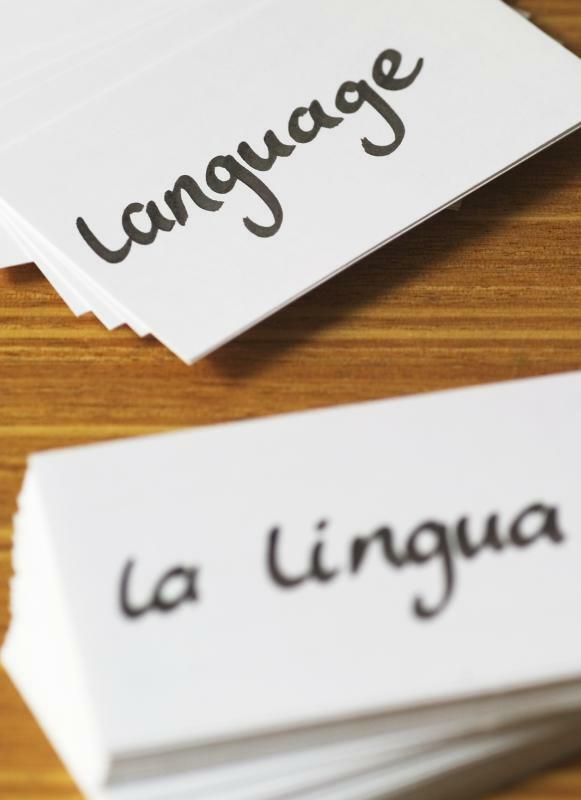 What Are the Different Types of ESL Resources? For students who are not learning English as a second language, many methods have been tried and discarded. A few years ago, the "whole language" method was in fashion. I'm seeing students who learned it when they were in elementary school and their writing and grammar skills are atrocious. Spelling proficiency apparently went out the window when teaching phonics fell out of favor, and I'm seeing adults who were supposedly educated in good schools who have no spelling skills. is also sadly, rarely used). What that did was teach how each word functioned in the sentence. When we knew that, we were much less apt to make grammar mistakes. On the first day of school, my 11th grade English teacher passed out a list called "Twenty errors to avoid in formal writing." The top five errors were what she called her "hit list" and anyone making those errors would lose a letter grade on a paper for each one. She was a stickler for good writing and as frustrated as I was sometimes in her class, I value what I learned. It has served me well my whole adult life.